Manchester United reportedly seriously the possibility to bring in the young midfielder Benfica, Renato Sanches this summer. And Manchester United ready to negotiate about the price of 'New Edgar Davids' this, as reported by the Daily Mail. 18-year-old young man is able to penetrate to the competition of main squad Benfica in this season and he is able to record 11 appearances in the league. His appearance did not disappoint. Midfielder who is able to play in several positions in the midfield is often compared to the former Dutch star and Juventus, Edgar Davids due to the style of play and his creativity on the ball. Reports the Daily Mail claims that United are ready to move in an effort to get Renato and to win the competition with other big clubs who are also interested in him. 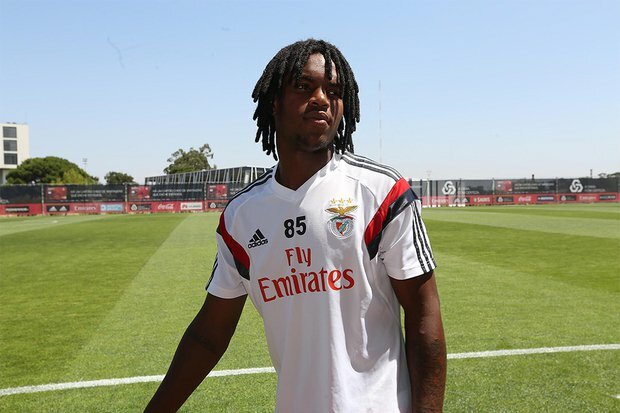 Benfica itself is believed to have labeled Renato at a price of 60 million pounds, but Manchester United claimed confidently able to negotiate with Benfica parties, which is associated with his costs. Meanwhile, with regard to the interest of Manchester United to bring Edinson Cavani seemed not just nonsense. It is also reported that MU has set aside about 48 million pounds for the striker belongs to PSG. Players from Uruguay was widely linked with a move to the Premier League following his position in France that less pleasant. He has called unhappy at PSG since only a second option under Zlatan Ibrahimovic. Laurent Blanc as a coach has confirmed that Cavani's attitude lately leads to trouble in the middle of his squad. Thus, it is understood that the PSG would be willing to take it off to the enthusiasts club. Meanwhile, Manchester United became one of the clubs interested in the 28-year-old attacker. According to Tuttosport, they are willing to pay worth 48.4 million pounds. The report said that the funds will be used in collaboration with Adidas and revenue from television broadcasts.